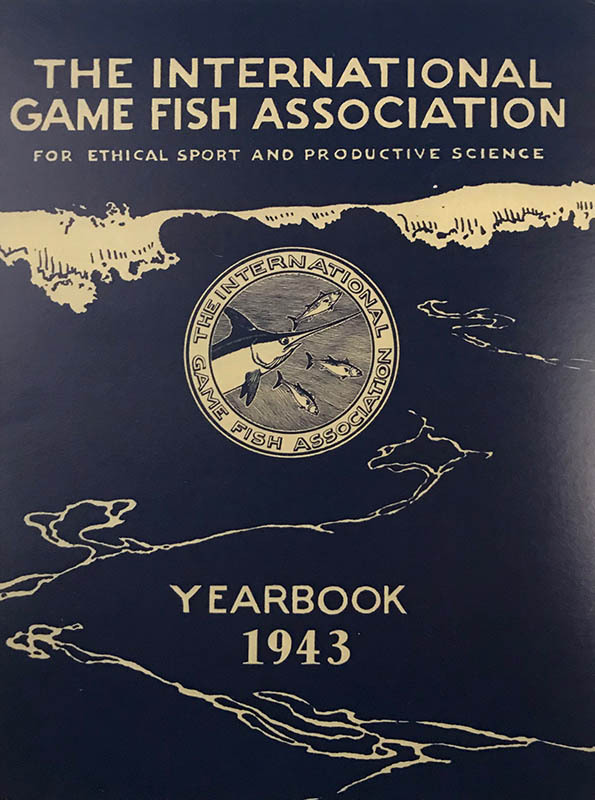 Despite a serious war-related paper shortage and the required vetting by the wartime Office of Censorship, the release of its 112-page yearbook in 1943 was a critical milestone for the IGFA. While acknowledging the ongoing war effort, the book was upbeat and optimistic in its assessment of the world-wide fraternity of game fishermen. The IGFA’s early years had been most formative, and the yearbook included the first set of standardized rules ever promulgated for big-game fishing, an angler’s reading list, and even a brief ichthyological history of big-game fish. In addition, linen-line thread classes were first recognized: 6, 9, 15, 24, 39 and 54 thread lines. Some 5,000 copies of this inaugural book were printed, and they were distributed free of charge upon request. Despite the wartime circumstances, inquiries poured in from around the world and supplies were quickly exhausted.